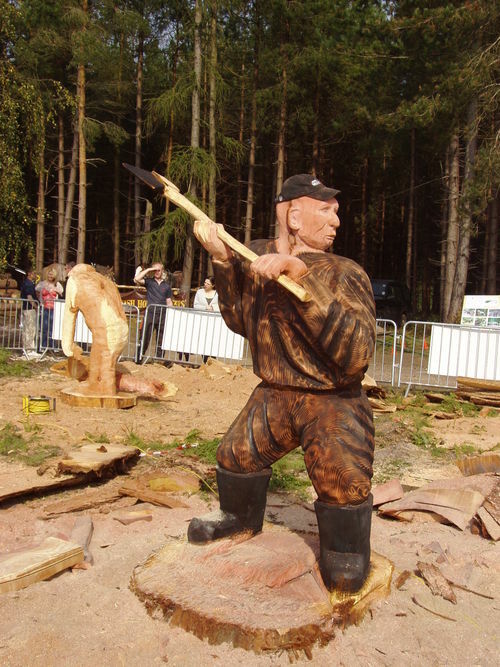 This 'Axeman' was chainsaw carved for a bit of fun at the APF, 2008, Forestry exhibition at Cannock Chase Staffordshire. The wood is Redwood. The 'Axeman' was bought at auction by a person from Southern Ireland.